Chrome Decorative Divers Helmet Paperweight 3"
Antique Silver Cast Iron Decorative Divers Helmet 9"
Rustic Cast Iron Decorative Divers Helmet 9"
Rustic Light Blue Cast Iron Decorative Divers Helmet 9"
Rustic Dark Blue Whitewashed Cast Iron Decorative Divers Helmet 9"
Aged White Cast Iron Decorative Divers Helmet 9"
Antique Seaworn Bronze Cast Iron Decorative Divers Helmet 9"
Seaworn Blue Cast Iron Decorative Divers Helmet 9"
Rustic Whitewashed Cast Iron Decorative Divers Helmet 9"
Rustic Dark Blue Cast Iron Decorative Divers Helmet 9"
Antique Brass Decorative Divers Helmet Clock on Rosewood Base 12"
True nautical classics, iconic images of the sea, and impressive nautical décor, few things evoke the deep connection to the sea as traditional Diving Helmets. From the delightful Brass and Copper Diving Helmet Key Chain to the Iron Divers Helmet Clock and the life sized Diver’s Helmet Mark V, Handcrafted Nautical Décor offers a stunning collection for your enjoyment. Perfect for home décor, an office conversation piece, or a centerpiece for your nautical collection, each of these helmets seamlessly blends the fascinating history of diving with stylish seafaring charm. 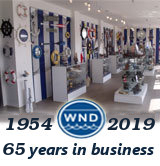 Our collection of nautical diving helmets features an assortment of brass dive helmet, copper diving helmet, and various other nautical vintage diving helmet for sale. Made of gleaming brass and chrome, our diver helmets are sleek and finely crafted. Whether you are looking for functional diving helmet clock or simply a decorative hard hat diving helmet for the desk top or mantelpiece, our gallery of diver helmets comprises it all. Every water diving helmet in our collection exudes character and atmosphere. Crafted from brass and iron, our Mark V diving helmet décor are perfect nautical gifts for the discerning friend or colleague. Each dive helmet adds a touch of sophistication to the international office or the stylish home. Seamlessly complete the nautical theme of any room with our antique diving helmet. Elegant, bold, and affordable, each of our dive helmets is an eye-catching addition to your décor. The vintage charm of our diving helmets is perfect as nautical gifts or as a part of your home. Shining with poise and polish, each divers helmet in our premium selection is available in a range of sizes, from our 8” brass diving helmet to our 18” copper diver helmet. All hard helmet diving helmets we offer are available with free shipping and 100% money back guarantee. All diving helmets for sale are professionally packaged and premium quality. An elegant nautical gifts favorite, our brass diving helmet clock, is available on sale right now, along with a Mark V diving helmet, and others.